Mass Effect: Andromeda has brought back the series co-op mode, and in a big way. The new dedicated mode has more maps, more characters, and more replayability than the previous title. But what exactly is co-op in Andromeda - and just how do you play it? How many players can play Mass Effect: Andromeda locally (couch co-op)? How many players can play Mass Effect: Andromeda online? How do you begin a co-op session in Mass Effect: Andromeda? How does save game progress work for co-op play in Mass Effect: Andromeda? What are the different currencies in Mass Effect: Andromeda multiplayer mode for? What are APEX Missions? What is the difference between APEX Missions and other Multiplayer missions? 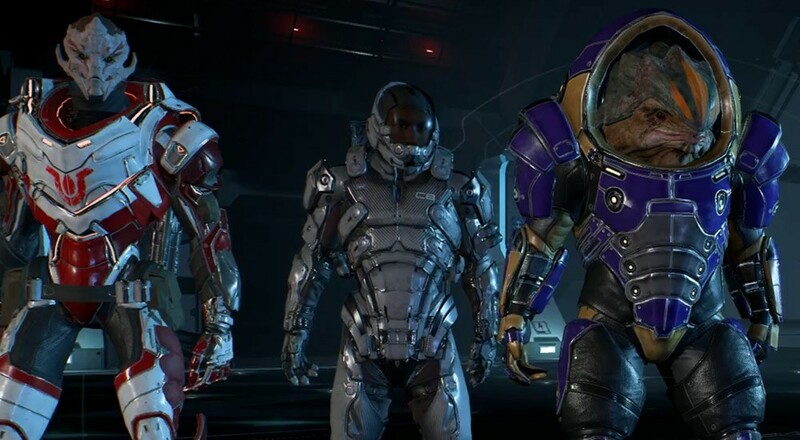 How does Mass Effect: Andromeda's co-op mode affect my single player game? Are there different Multiplayer mission types or modes? Does Mass Effect: Andromeda have a season pass or premium DLC? Are there any special co-op moves or abilities? Mass Effect: Andromeda does not support couch co-op. Four players can play the game online together in the same multiplayer match. The game does not scale the difficulty to the number of players, so it's recommended you play with a full party. There are several ways a co-op game is started. You can choose "Multiplayer" from the main menu. You can visit the Strike Team Missions Desk in the Nexus (left side of the main atrium), or you can visit the Strike Team Missions desk on the Tempest. Finally, you can bring up the menu at anytime and select "Jump to Multiplayer" - all of these allow you to switch into Mass Effect: Andromeda's co-op mode. As the game's co-op mode is dedicated and based around the progression of the character you choose, everything you do in multiplayer is saved. Every player earns experience for their character and Multiplayer funds by participating in a Multiplayer match, and that progression is saved for each player separately. 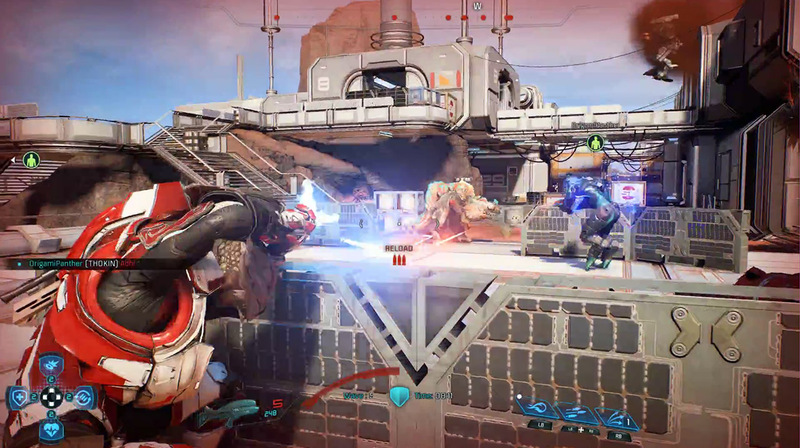 Andromeda Points: the premium currency for the Mass Effect: Andromeda Multiplayer mode. These points can be purchased with real world currency and can be used instead of the earned in-game currency to obtain new Multiplayer packs. Multiplayer Funds: Can be used to buy packs, and are earned just by playing the game in co-op. Mission Funds: These can be spent to acquire additional Strike Teams, buy new traits for the Strike Teams that will influence their success when sent on missions, or they can be used to purchase special equipment for use in Multiplayer as well as replenish individual, consumable items (such as medkits and revive packs) without having to purchase a Supply Pack. These can earned by completing APEX Missions in Multiplayer, or by completing APEX Missions and Strike Team Missions using a Strike Team. APEX Missions are special missions that can be completed either by playing them in Multiplayer, or by deploying a Strike Team to complete it. If played in Multiplayer, APEX missions are typically harder than regular missions as they utilize special modifiers, such as enemy melee attacks do increased damage, or pistol damage is increased while all other weapon damage is decreased. Assuming your team successfully completes the mission, then you'll earn Multiplayer Rewards just like any other Multiplayer mission, and you'll also earn the single-player only rewards. If you decide to use Strike Team to complete the APEX Mission, then you'll only earn the single-player rewards. As you complete the APEX Missions, certain rewards will be unlocked for your single player game. This could be materials, items, new weapons, research currency, or other Pathfinder Rewards. Outside of those missions, which can be completed by Strike Team as well, there are no other tie-ins between the Multiplayer and Campaign modes. Outside of the previously discussed APEX Missions, there is only Multiplayer mission, though there is some customization within that. At the moment, there are a total of five different multiplayer maps from which you can choose. Additional maps are slated to be added in the future for free. Along with the different maps, you can also pick the type of enemy you face (Kett, Remnant, or Outlaw), and the difficulty (Bronze, Silver, or Gold). The higher the difficulty, the tougher the enemies will be that you face, but the greater the rewards you'll receive, too. The game recommends playing Bronze missions until you reach character level 10 or so, and it's a piece of advice we echo based on our experiences. Once you're in a mission, regardless of the map, difficulty, or enemy, each one plays out in a similar fashion. You'll go through a set number of waves of enemies (usually six) before you have to all gather up in one spot for extraction. The main goal of each wave is to kill all the enemies and survive, though some waves will task you with additional objectives, such as destroying enemy devices or capturing certain points around the map. If you fail to complete these objectives within a certain time limit, you'll fail the wave and, subsequently, the mission. You'll still earn some experience and Multiplayer Funds even if you fail, but you get significantly more for winning. Nope. All future updates will be free, but there is plenty of "premium" DLC in the form of supply crates that unlock weapons, consumables, characters, and more. These crates can be earned just by playing the game and earning credits. Kind of. Character kits with Biotic or Tech abilities may have "combo primers" and/or "combo detonators" skills. Applying a "combo primer" skill (for instance, the Tech skill "Incinerate," which causes an enemy to catch on fire) to a foe and then using a "combo detonator" skill on the same enemy can cause that ability to detonate and trigger secondary effects. So if your co-op buddy sets an enemy ablaze with "Incinerate" and then you use the Biotic ability "Shockwave" to detonate it, it triggers a fiery explosion that damages other nearby foes. Players can also revive one another if they should lose all their health, though they'll have to be quick as you can bleed out and enemies can also execute (i.e., finish off for good) downed allies. Page created in 0.2920 seconds.